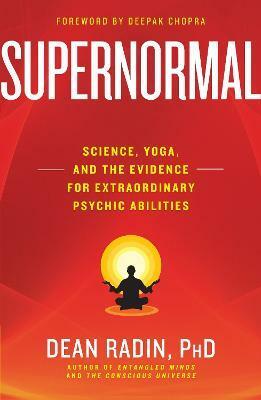 Can yoga and meditation unleash our inherent supernormal mental powers, such as telepathy, clairvoyance, and precognition? Is it really possible to perceive another person's thoughts and intentions? Influence objects with our minds? Envision future events? And is it possible that some of the superpowers described in ancient legends, science fiction, and comic books are actually real, and patiently waiting for us behind the scenes? Are we now poised for an evolutionary trigger to pull the switch and release our full potentials? Dean Radin, Director of Research at the Institute of Noetic Sciences (IONS) and bestselling author of The Conscious Universe, presents persuasive new experimental evidence for the existence of such phenomena. He takes us on a thrilling scientific journey and challenges outdated assumptions that these abilities are mere superstition. Focusing on Patanjali's mysterious Yoga Sutras -- 2,000 year-old meditation practices believed to release our extraordinary powers -- Radin offers powerful evidence confirming that sometimes fact is much stranger, spookier, and more wonderful than the wildest fiction.